A Reconstruction of ‘Pirates of the Caribbean: Dead Men Tell No Tales’! There are three types of movies in this world for me; bad movies (which I may or may not enjoy because of or despite of their badness), good movies, and movies that annoy me. Movies that annoy me are the ones I obsess over. Movies that annoy me tend to be “close but no cigar” to a good movie. They annoy me, because I wish the film had gotten the cigar. Pirates of the Caribbean: Dead Men Tell No Tales is a movie that annoys the crap out of me. Pirates of the Caribbean: Dead Men Tell No Tales was intended to be a soft reboot of the series. It was supposed to introduce new characters in a similar environment and allow the series to have a “fresh start.” The film had absolutely everything it needed to accomplish this task. Instead, the movie is a jammed pack, convoluted, dragging two-hour film. Pirates of the Caribbean: Dead Men Tell No Tales Coming To Home Video!!! From Disney and Jerry Bruckheimer Films comes ‘Pirates of the Caribbean: Dead Men Tell No Tales‘, the fifth film in the now iconic, POTC film franchise. The film will sail onto Digital in HD and 4K Ultra HD September 19, and on 4K Ultra HD/Blu-ray Combo Pack, DVD and On-Demand October 3. 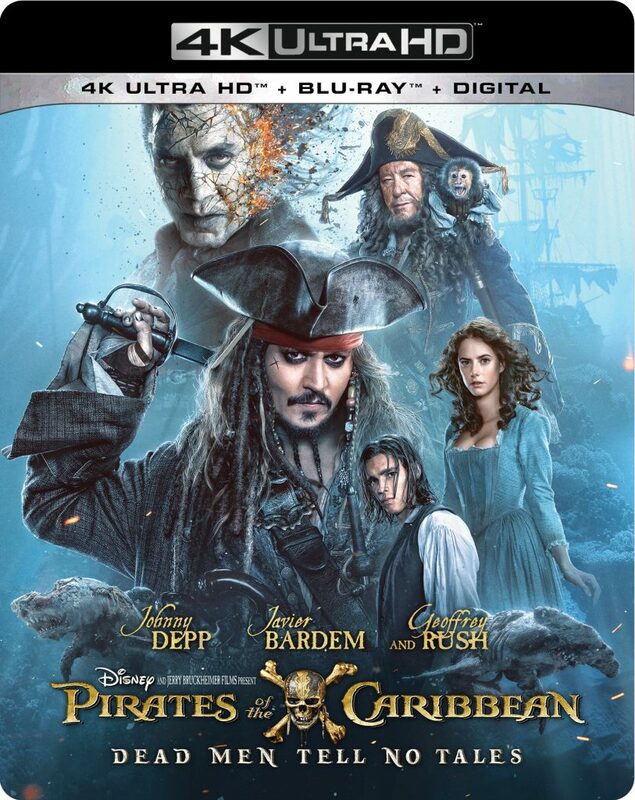 Disney is releasing ‘Pirates of the Caribbean: Dead Men Tell No Tales’ on 4K UHD! 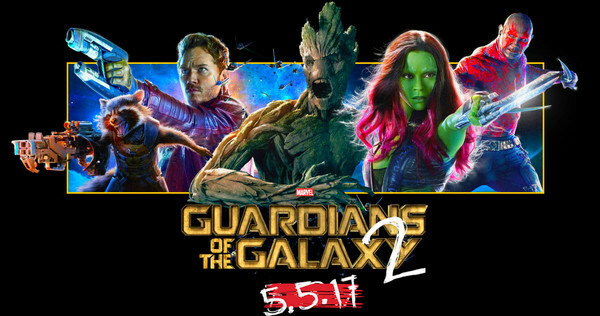 It looks like Disney is releasing more in 4K UHD since they announced their first 4K release with Guardians of the Galaxy Vol. 2 the other day. I expect the flood gates to open up real soon, which means, Pixar, 2D animated classics, Marvel, and LucasFilm releases will be coming out in 4K. Bittersweet news, I know. Sweet, because it will look amazing in 4K finally. Bitter, because the wallet will take a big hit. Expect to purchase the ‘Pirates of the Caribbean: Dead Men Tell No Tales‘ in 4K UHD on October 3rd with the digital version releasing on September 19th. Javier Bardem Eyeing Villain Role In ‘Pirates Of The Caribbean: Dead Men Tell No Tales!!! I love Johnny Depp and I loved a few of the ‘Pirates of the Caribbean‘ films with Depp’s interpretation of the complete wild card that is Captain Jack Sparrow. I watched the next two installments and loved the new element that came to play as we met Davy Jones, his crew and the legend built as we saw our heroes fight to take the tentacled captain down. I was getting bored with the third film as the crew searched for Captain Jack. I rolled my eyes when ‘On Stranger Tides‘ brought the noticeable absence of Orlando Bloom and Keira Knightley, but replaced the girl power with Penelope Cruz. I’ve tried dozens of times to watch that film and have never once made it all the way through it. I knew that sequel was the beginning of the end of a fun franchise. Disney didn’t get the memo. 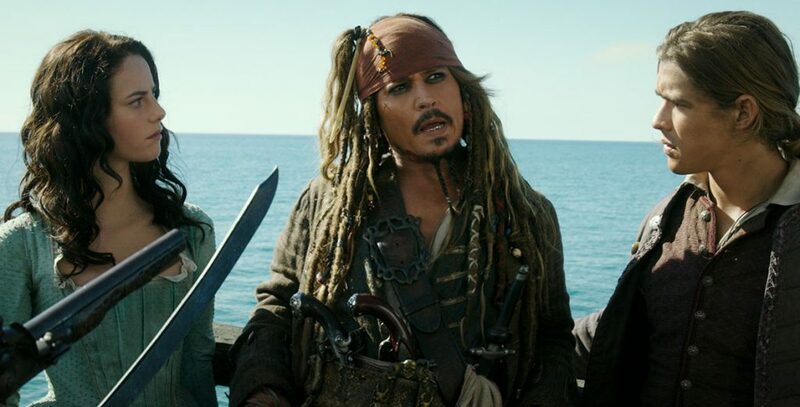 Even though filming of the latest installment of Disney’s ‘Pirates of the Caribbean: Dead Men Tell No Tales‘ has wrapped, that doesn’t mean the magic has ended. Directors Joachim Ronning, Espen Sandberg and producer Jerry Bruckheimer have reverted to adding an extra big set-piece scene. Word is that it’s built around a rock legend and I’m not talking about Keith Richards. 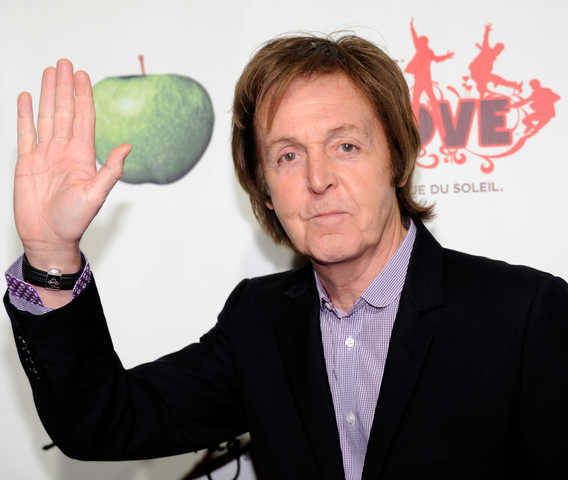 This star comes in the form of Paul McCartney. When Is It Coming Out?! From Cars 3 to Terminator!!! When is it coming out?! It’s a common phrase that is heard when the topic of discussion turns to much anticipated movies that are mapped out for the next few years. From ‘Star Wars VIII‘ to ‘Cars 3‘, and what’s going on with the ‘Terminator‘ franchise? I will reveal all after the jump. Could Kaya Scodelario Be Heading To The High Seas?!!! There are some film franchises that can continue churning out hit after hit after hit. ‘Pirates of the Caribbean‘ isn’t that franchise anymore. The first film, was epic, grand and sweeping and everyone got caught up in the timeless nature of the story, the romanticism of running away with a pirate and pirates being pirates who will do anything they must to achieve their goals. The second film came and I was even more intrigued because this time there was the whole mystique of Davy Jones thrown into the beautiful mix. Then the third…and the fourth…..and now a fifth. I’m pirated out. It’s over, man the rowboats, search for survivors and head for shore. Alas, Disney won’t listen to me, much like Marvel doesn’t listen to me either. If crowds love it and swarm to it, it’s easy to get greedy and kick out film after film with the only goal being to capitalize on the current hot trend. It IS possible to have too much of a good thing! If I can actually have too much bacon to the point where I’m giving it away, it’s possible to have too many frakking pirate movies! 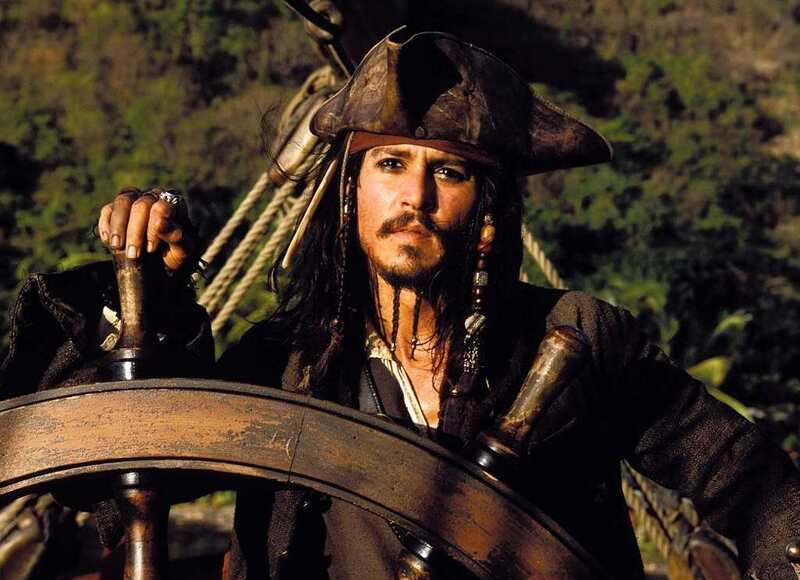 5th ‘Pirates of the Caribbean’ Installment Gets Release Date and Christoph Waltz!!! Disney is hoping the golden goose lays another blockbuster with ‘Pirates of the Caribbean: Dead Men Tell No Tales“. We’ve got a release date of July 7, 2017. I’m a big Johnny Depp fan, and I love the Pirates movies. There’s a point where you have to let a good thing end while it’s still awesome. The last film ‘On Stranger Tides‘, seemed to begin digging it’s own resting place in Davey Jones’ Locker. I really think that’s where the franchise jumped the proverbial shark. I kind of think Orlando Bloom and Keira Knightley‘s departures started the series in a tail spin.